Every year I write an In Memoriam post in which I pay tribute to those who had a deep impact on the nerd ‘verse before they passed away. These are the people who aren’t necessarily famous in a main stream sense but they deserve to be remembered. Every year is a little different. Some years there are more actors or comic book artists or directors. This year has leaned more heavily towards science. They say that deaths come in threes and we lost three astronauts this year. I desperately wanted to be an astronaut when I grew up and I’ve always been obsessed with space; therefore, I included all three in this year’s tribute. 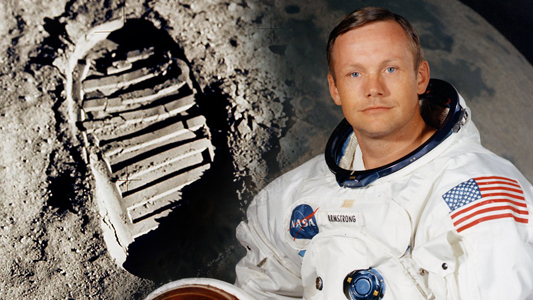 Neil Armstrong could fly a plane before he could drive a car. He was more than just the first man to walk on the moon, he was the very definition of a Real American Hero, in part because he was so reluctant to bear the title. An Eagle Scout and decorated Navy pilot, he flew more than 200 different models of aircraft over the course of his career. Known for being an intensely private and humble man, he retired to Cincinnati and became a professor after his mission to space was complete. Still, his sense of adventure never left him and he offered to command a mission to Mars in 2010 at the age of 80. He passed away during coronary artery bypass surgery on August 25th. 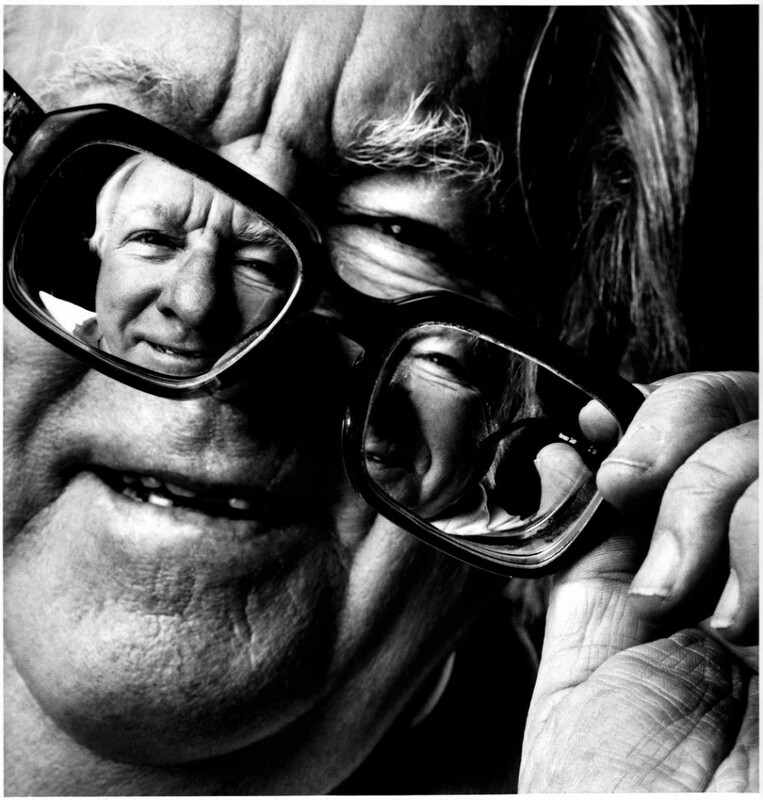 Ray Bradbury started writing when he was 11 years old during the Great Depression. His daily writing regimen started after two events in his childhood. First, he saw Lon Chaney in The Hunchback of Notre Dame, then he went to a carnival and was brought before a performer named “Mr. Electrico” who touched Bradbury’s nose with an electrified sword and shouted “live forever!” Young Ray’s hair stood on end and his imagination ignited. He was never the same after that and almost became a magician. Instead of going to college, which he couldn’t afford because of the Depression, he went to the library three days a week for ten years. He was an avid supporter and defender of libraries his entire life. He insisted that he was a fantasy writer and that Fahrenheit 451 was the only sci-fi book he ever wrote declaring that, “science fiction is the art of the possible.” Despite living most of his life in Los Angeles he never got a driver’s license. He was 91 years young when he died on June 5th after a lengthy illness. Under the pseudonyms Mœbius and Gir, Jean Giraud became a well-known and highly influential comic book and storyboard artist. Best known for his Blueberry series, he was revered by Stan Lee and worked with him on a two-issue Silver Surfer miniseries called Parable. Raised in the suburbs of France by his grandparents, he only attended art school for one year before moving to Mexico for 8 months and later serving in the military and working for the army magazine. His work was the inspiration behind The Fifth Element and the Imperial Probe Droid in Star Wars V: The Empire Strikes Back. He worked on many films including Alien, Willow and The Abyss. 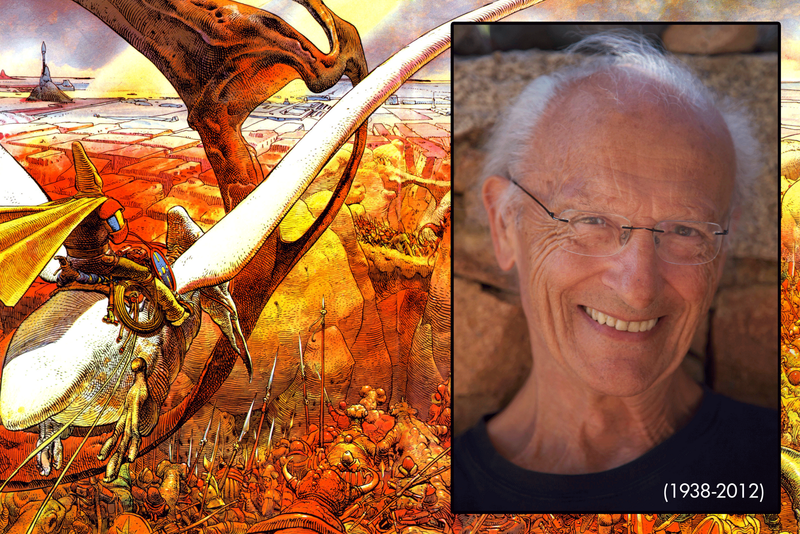 Giraud passed away on March 10th of cancer at the age of 73. Svetozar Gligorić and I have something in common, we’re both Groundhog babies. But that’s where the similarities end. But because of our shared birthday, I’ve known about this Serbian-Yugoslavian chess grandmaster for as long as I can remember. 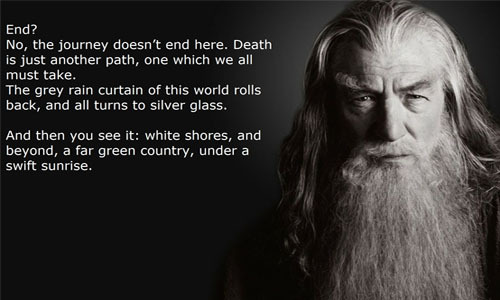 So I was saddened to learn that he’d passed away. His father died when he was young and to make ends meet his mother rented rooms to boarders. It was one of these boarders who taught an 11 year old Svetozar how to play chess. Lacking the funds to buy a set, he created his own by carving the chess pieces out of the corks of wine bottles. He went on to become the greatest chess player ever to come out of Serbia, a career that was interrupted only by WWII. He later became a renowned chess commentator. 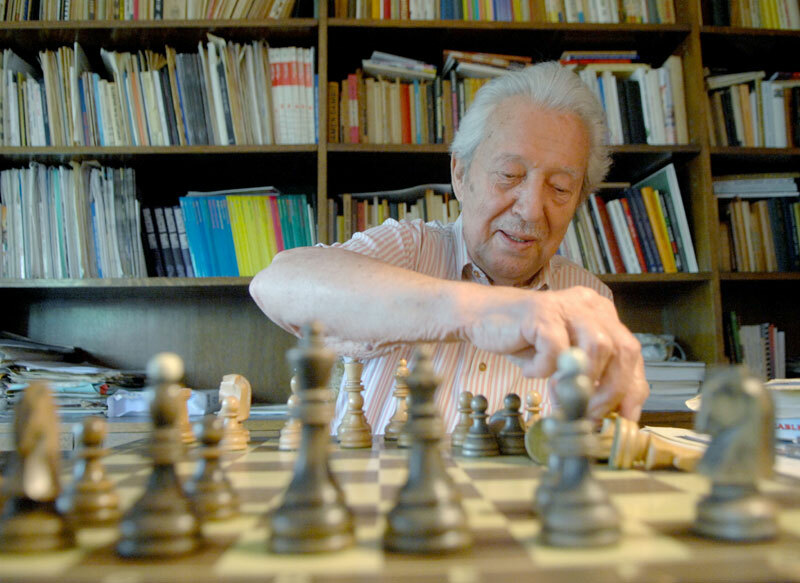 Svetozar died of a stroke on August 14th at 89 years old. 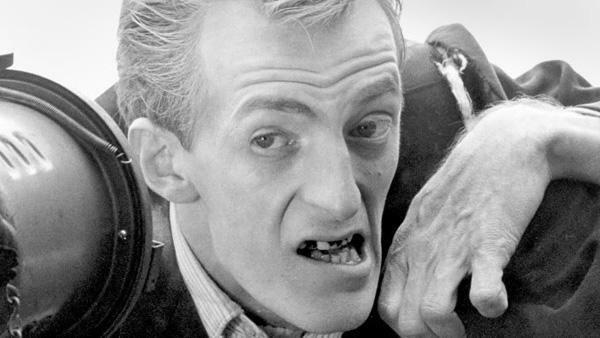 Hinzman was working as an Assistant Cameraman when George Romero spotted him and changed his life forever by casting him as the first zombie seen in Night of the Living Dead. When Producer Gary Streiner’s arm caught fire during an effects mishap on the set, he began running in terror, and Hinzman (in full zombie makeup) tackled him to the ground and helped extinguish the flames. Hinzman and Romero went on to work together many times over the years, helping Hinzman to become a cult figure and fan favorite at conventions. He was 75 when he passed away of cancer on February 5th. Born in Bristol, England in 1913, Lovell was a physicist and radio astronomer who studied cosmic rays and constructed the largest steerable radio telescope in the world at that time. The telescope would later be named the Lovell Telescope and is still in use today. 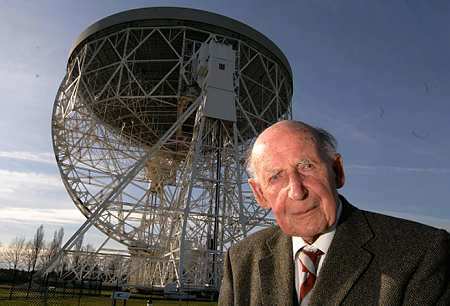 He established the Jodrell Bank Observatory and was its Director for 35 years. 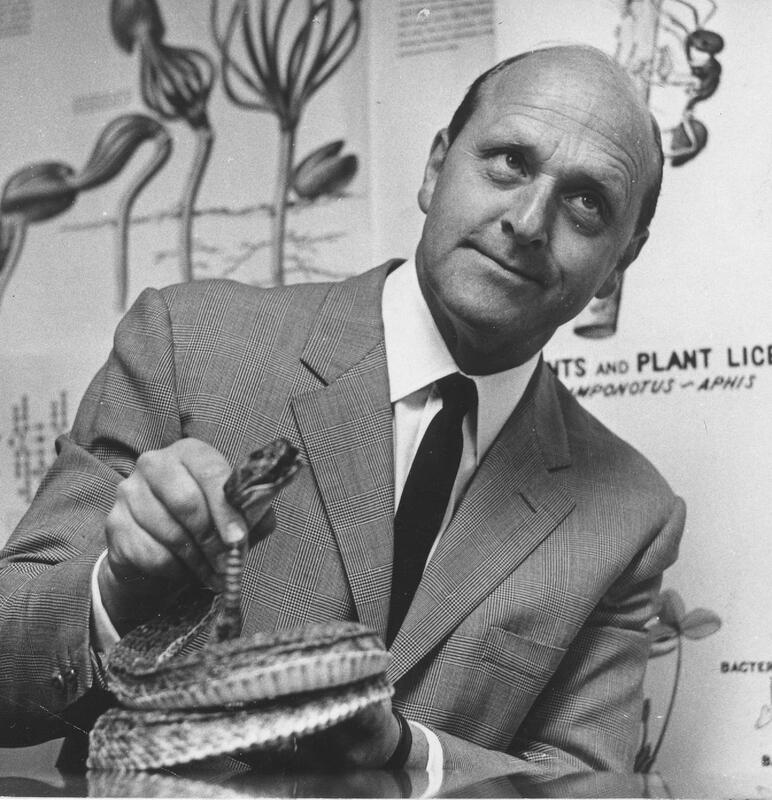 For his contribution to science, Lovell received an OBE in 1946 and was knighted in 1961. The first name of the fictional scientist Bernard Quatermass, the hero of several BBC Television science-fiction serials of the 1960s, was chosen in honor of Lovell. He was 98 years old when he passed away at home on August 6th. A born daredevil, it was only natural that Poindexter would become a Navy test pilot and NASA astronaut. In his career as a pilot he logged over 4000 flight hours on 30+ types of aircraft. His first trip to space was derailed by the Columbia disaster in 2002. 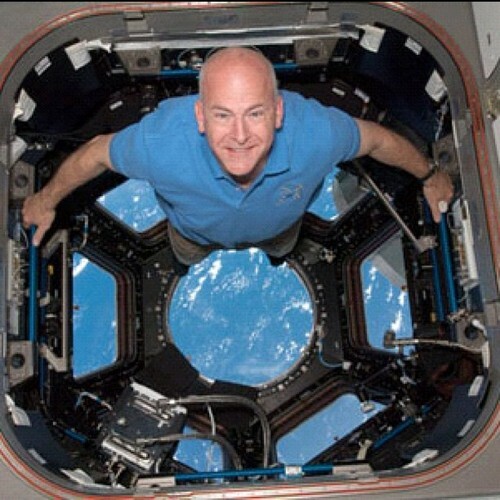 It would be four more years before he finally flew to the International Space Station in 2008. He served on two missions to space before retiring from NASA and returning to the US Navy as Dean of Students at the Naval Postgraduate School. The youngest person on this list, he was only 50 years old when he died from injuries received during a personal watercraft accident in Little Sabine Bay off Pensacola Beach, Florida, being the daredevil he always was. As a young girl who was obsessed with all things space-related, Sally Ride was a huge idol of mine. Ride was a Physicist who answered an ad in the newspaper along with 8000 other people and became the youngest American astronaut to be launched into space as well as the first American woman to enter into low Earth orbit. 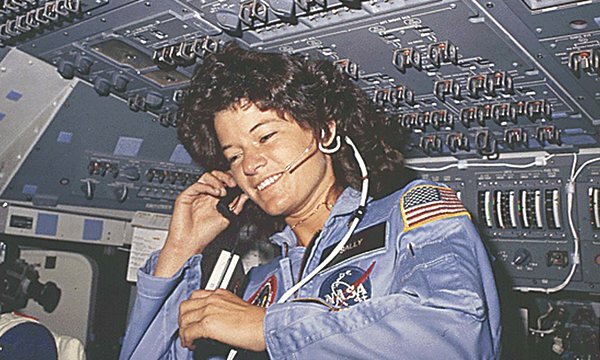 She retired from NASA and went on to teach physics at UCSD, become the only person to serve on the panels for both the Challenger and Columbia accidents, found Sally Ride Science, and write several children’s books along with her partner of 27 years, Tam O’Shaughnessy. Fiercely private, she revealed more in her obituary than she had in 30 years of public life. She died on July 23rd of pancreatic cancer at age 61. The child of Polish Jewish immigrants, Sendak’s childhood was marred by the passing of most of his extended family in the holocaust. Young Maurice escaped by reading and decided to become an illustrator after watching Disney’s Fantasia when he was 12 years old. 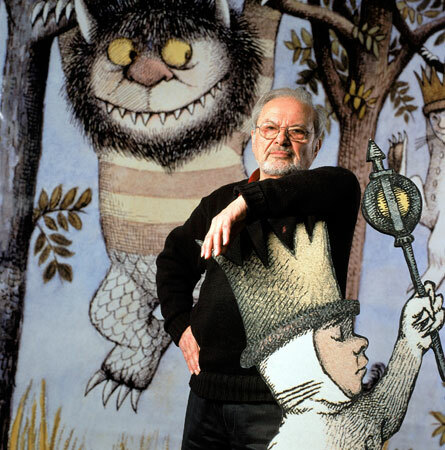 He would go on to become one of the most famous children’s book authors and illustrators in the world with the massive success of Where the Wild Things Are. In May 2008 he quietly revealed that he was gay and had hidden his 50 year relationship with psychoanalyst Dr. Eugene Glynn from his parents. An atheist, he was quoted as saying “My gods are Herman Melville, Emily Dickinson, Mozart. I believe in them with all my heart.” Maurice died on May 8th from complications of a stroke. He was 83 years old. Then there are the regular Joes. The nerds and geeks we know and love who aren’t famous. They don’t get recognized during awards shows or in magazines but their loss is just as devastating and much more personal for us. The nerd world lost two wonderful souls this past year who deserve to be recognized for the incredible people they were. They were both life-long nerds and meant a great deal to me. My Grandma Kay was one of the most beautiful people I have ever met. She was warm and kind and accepting of everyone. I never once heard her say a negative word about anyone. She was always chuckling. I could pick out that chuckle in a noisy room and if I close my eyes I can still hear it. She took me to Kennedy Space Center see my first space shuttle launch (Endeavor) and introduced me to gators and herons in the blueways of central Florida. 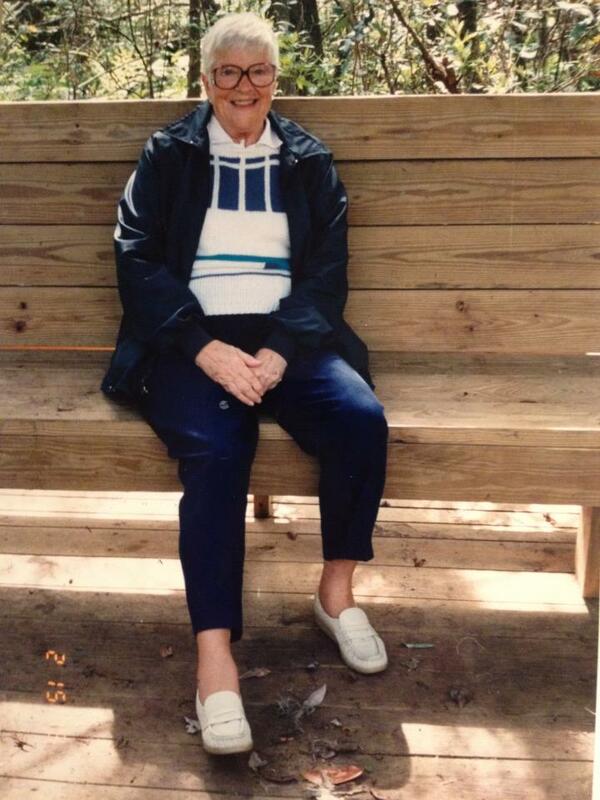 She was a life-long nature lover and one of the first computer wiz’s I ever knew. She wanted to see and learn everything she possibly could. She always said that people don’t die, they graduate. I miss everything about her. I miss her stories and blowing and catching kisses over the phone. I miss the way that she ate her half a danish every morning because she was half Danish. I even miss her terrible cooking which I totally inherited from her. When I was with her, everything was magical. She graduated in early July at 96 years young. Papa Nick was not my biological grandfather, but much like my parental units, I’ve picked up a lot of grandparents through marriage, chance and circumstance along the journey of my life. Papa Nick was one of those. Together with his lovely wife Grace, I was one of the many indirectly related kids who was adopted into their brood of grandchildren. I took to Papa the instant I met him. His thick accent, Greek Fisherman’s cap, and ever-present pipe combined with his sharp wit and a steady stream of one-liners resulted in a man who you couldn’t help but love. He was one of the smartest people I’ve ever known. His love of science and education was infectious. Papa passed away in early October at the age of 90. Do you know a nerd who Graduated in 2012 who deserves to be recognized? Please leave a comment and let me know or post a picture and comment on the Hot Nerd Girl facebook page. Harry Harrison – Sci-Fi Author, Make Room! Make Room!, etc. Boris Strugatsky – Sci-Fi Author, The World of Noon series, etc.